Erica has been working with us for three weeks now, so we caught up with her to see how she is settling in. 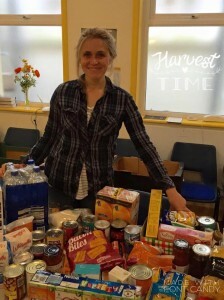 “It is now my third week of working with Brighton and Hove City Mission. The dust is beginning to settle in my role as fundraiser and my mountain of filing is almost at an end. My highlight last week, was going out with the Rest Home’s team to watch them in action within a home in Hove. The visit filled me with passion and insight for their ministry and as a result makes my job as fundraiser that much easier.